The free, downloadable, PDF publication includes draw, survey and harvest statistics for a five-year period, as well as information on distribution, life history and behavior of big game, small game and other wildlife. The 205-page publication is easy to use and includes the latest data on units/hunts with the highest hunter success rates, hunts with the best draw odds, and historical survey and hunt information that can be used to compare trends, by unit, for the major game species. 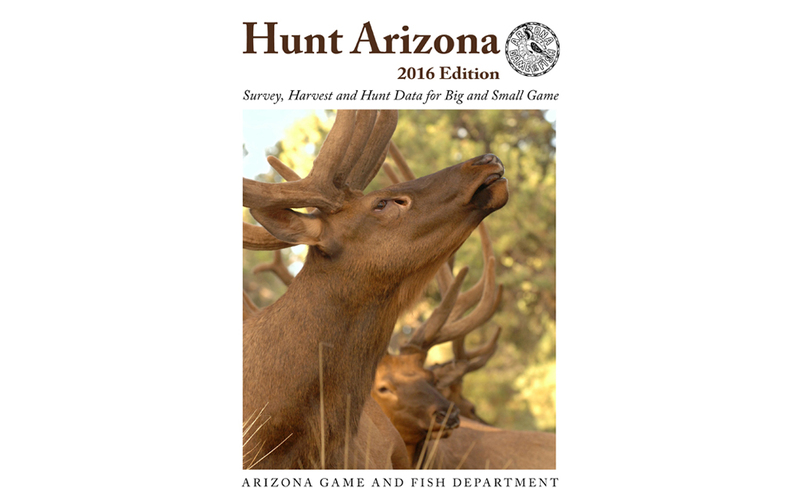 “Hunt Arizona” is a must for both novice and experienced hunters when making informed decisions regarding hunt selections.